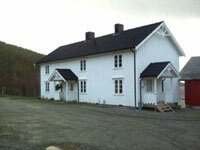 Discription of our summer residence ”Trøndelan” (onetime our residential house of our family) approximately built in 1890 – restorated in 1990. The house contains an apartment for 4 persons. The apartment is two-storied, with a big living room, 3 sleeping rooms, Kitchen, bathroom and a toilett. 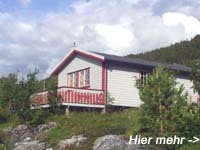 There is a wooden terrace with garden furniture and the view is focused on the fjord. Also the apartment contains a deep freezer and a boat including motor. As a matter of course a room with flowing water where you can fillet your fish is availabel. 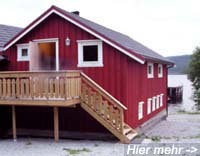 4 hut´s are available which are built between 1992 and 1999. The have a base of approximately 48 m². A living room with kitchenette, 2 sleeping rooms, bathroom with shower an toilett. In each hut there is a satellite connection. A deep freezer is in the hall available. In each sleeping rooms are two beds. It is a norwegian bunk bed. The lower bed has a width of 120 cm, the upper bed is normal sized. 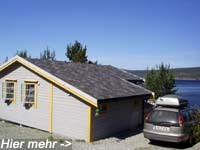 The hut´s are located directly to the water. On the terrace there is a wonderful view on to the fjord. In each hut a 18 foot boat (with 25 hp outboard motor) is included. The naustloft is a nice appartment on second floor of a boat house. The building was restored in 2004. The appartment has a livingroom with a kitchen, 2 bedrooms, bath with shower and wc. Self-housekeeping. Beautiful view over the fjord. This house has over 100 m2 living space with a very good interior standard. 4 Bedrooms for max 6 persons, 2 toiletes and one bathroom. Big living and dining room, big complete kitchen with dishwasher etc. One boat, Gimo 560 with helmstand and min. 25 hp 4 cycle outboard motor is included. The house has over 120m² living space. It is located at the end of the Stjørnfjord, the so called Nordfjord which is a very popular fishing area for our entire guests. The house is equipped with 4 bedrooms for up to 8 persons. 2 toilets, one shower bath, big living and dining room and a fully equipped kitchen with dish washer. One boat, a Gimo 560 with helmstand and minimum 25 bhp 4-stroke outboard motor is included in the price. The walk to the small boat jetty is a bit aslope and unsuitable for people with handicap. The cabin has 72m² living space. There are 3 bedrooms for up to 4 persons. The cabin is equipped with shower bath, kitchen and big living and dining area. 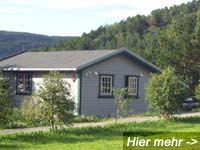 Additionally our guests are able to rent the so called Annex (a separate small cabin with bunk bed for 2 persons). There are two nice terraces for use. One boat, a Gimo 560 with helmstand and minimum 25 bhp 4-stroke outboard motor is included in the price. The walk to the small boat jetty is a bit aslope and unsuitable for people with handicap.